A million and one people can be good employees. They are diligent, conscientious, and are adept at following instructions. Some excel so much that they are recognized and tapped to become managers. Here comes the litmus test not all good employees are inherently good at: being managers. As most companies have experienced time and time again, it doesn’t necessarily follow that good employees will turn out equally good managers. Some are outstanding as members of a team yet when called for a managerial position, they tend to shrink and wither. Some are quite unremarkable as team members but when asked to lead a group, emerge as brilliant managers. As what Henry Mintzberg – premier author and authority on business and management – said, management is a mixture of art, science, and craft. Not everyone is born to be a manager and those who are, would still need specialized training and coaching to seamlessly blend into the role that they are given. Some management positions all over the world don’t have the right people in them. 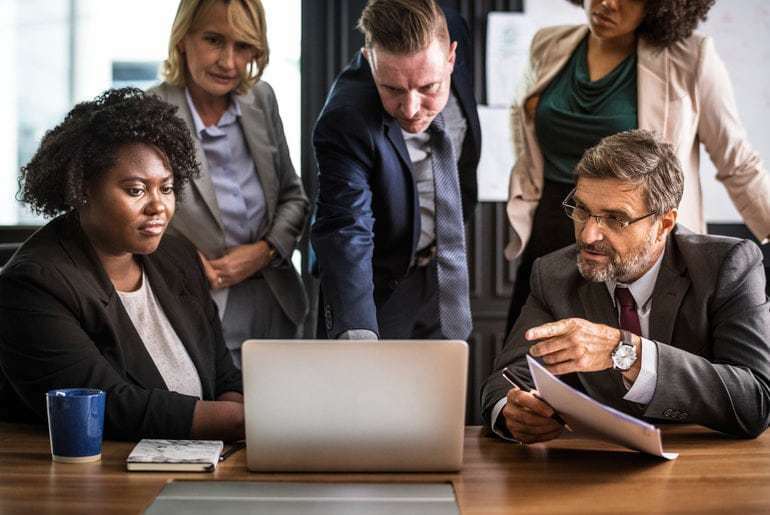 In the United States, findings published in the State of the American Manager: Analytics and Advice for Leaders indicate that at least 70% of the variant in employee engagement scores can be attributed to managers and their performance. According to the Gallup report, State of the Global Workplace 2017, only 13% of employees are engaged. With these statistics, one can deduce that without a good manager, companies suffer from lack of employee engagement that leads to low productivity and profitability. To address this situation, one of the ways that a company can take is to enrich and enhance the innate talents in their workforce. If they cannot find the right people on the outset, the good news is that about 1 in 10 people possess the qualities of a good manager. In the same Gallup study, about two in 10 people can do extremely well if their company can invest in training and developing them. At the same time, if you were tapped to be a manager in your company, you should also do your share to improve your skills and expertise. Being singled out as a new manager to lead a team means that you already have the combination of abilities fit for a managerial role. When you are assigned to be a new manager, you will be taking on new responsibilities. Evaluate and do a strengths, weaknesses, opportunities, and threats (SWOT) analysis on yourself to check what areas you need to strengthen and what you need to work on. When you have looked into your own set of competencies, ask for a hiring letter or development contract. This will enable you to see what the boundaries of your authority as a manager are and the areas you need to develop. You will need at least a year to sink into your new shoes and your company must also allow you to grow into the role as much as possible. If time is not a luxury – as is almost always the case – then ask for regular check-ins and consultations with the proper head or department so you can be guided accordingly especially for areas when you need to take action; for instance, in meting out disciplinary actions on errant members. Request for a comprehensive job description so you can see what the company expects of you. Discuss the content, especially the expectations and limitations involved, so you can efficiently conduct your duties accordingly. Ask what exactly they want you to excel in and create a healthy dialogue where you can plot measurable (if possible) goals. Clarify what is unclear since vague descriptions can set you to fail. You should chart your learning curve in your new journey as a manager. For example, you can experiment with a leadership style and jot down notes on whether it is working or not based on feedback from your mentor or supervisor as well as from the team you are leading. Your journal can track your progress on current objectives and guide you to set new objectives that will help in your development as a manager. Self-assessment will not be enough as you grow into your role as a manager. For you to thrive and flourish into an effective team leader, you should also be aware of how others perceive you and your managerial style. Ask your supervisor for a regular performance review so you are also aware of areas where you fall short in. This will enable you and your reportorial head to be aligned with the objectives you have set and whether or not you will need to develop certain competencies, moving forward. Being in a position to lead also entails continuous learning. Request attendance to various leadership and management training courses so you can gain a thorough understanding of the roles a manager has in a structured way. Through insightful and intensive short courses on management, you will be able to develop a clear understanding of management theories, latest industry trends, and leadership development issues. You will also be able to explore the essentials of leadership and apply best practice insights that will enhance your managerial skills. Management training programs are a good investment as they give you a broader view of world-class management skills and show you new techniques to adopt a more strategic way of performing your managerial duties to achieve your performance goals. As the popular saying goes, “to whom much is given, much is also expected”. As a new manager, you are entrusted with the role to lead your team and the company to new heights. You will not have been given the role if they didn’t see the potential in you. In turn, you must do your best to bloom where you are planted and, as much as possible, let the roots grow far and wide to create a garden of victory. By taking the above mentioned steps, you will be able to survive the challenges in your new environment and be ready to be molded into a manager who will spearhead the team into innovation and success. Over 20 years of experience in B2B marketing, Annick Nuyens first worked in the hospitality service industry and then moved to the knowledge industry. She currently works forInforma in the Dubai office, where she oversees marketing for public and inhouse training courses, conferences, exhibitions and managed events across the Middle East and Africa. « Do You Understand Your Business?